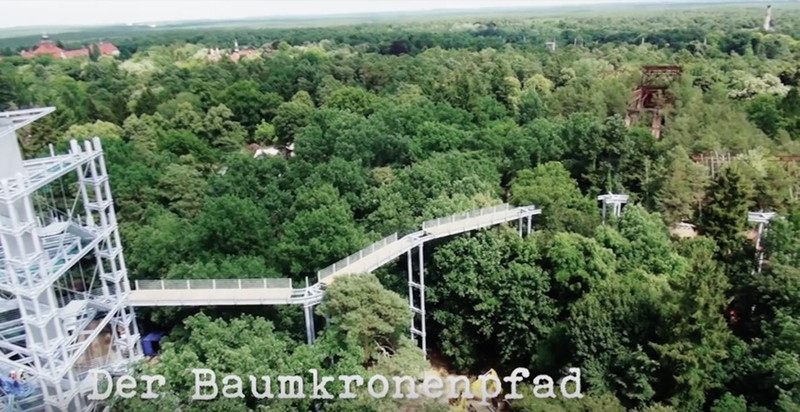 The Making of Baumkronenpfad Beelitz-Heilstätten video from Thomas Kaser provides impressions from the construction process of the new treetop walkway at the abandoned sanatorium just outside Berlin. The video contains lots of drone footage giving a good overview of the sheer scale of the buildings and vastness of the woodland covered by the old Beelitz-Heilstätten. 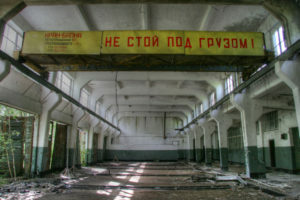 Starting in August 2014 the pictures show just how the trees have encroached, sprouting from rooftops and windows and how damaged the structures of the former lung clinic and sanatorium are. 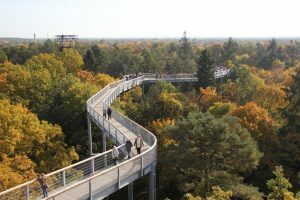 The Baumkronenpfad Beelitz-Heilstätten, which includes a 36-metre high viewing platform and a 320-metre (with plans to extend to 1000 metres) long treetop walkway, opened at the beginning of September 2015 and you can see my impressions here.